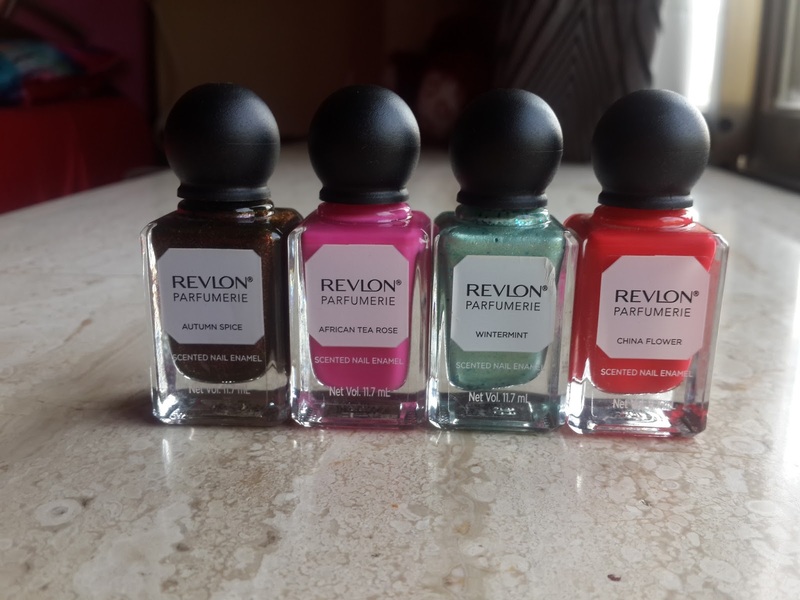 Revlon recently launched this beautiful range of parfumerie nail enamel in 3 categories Sweet & Spices , Freshes and Fruits & florals. They have 16 shades divided in this categories. 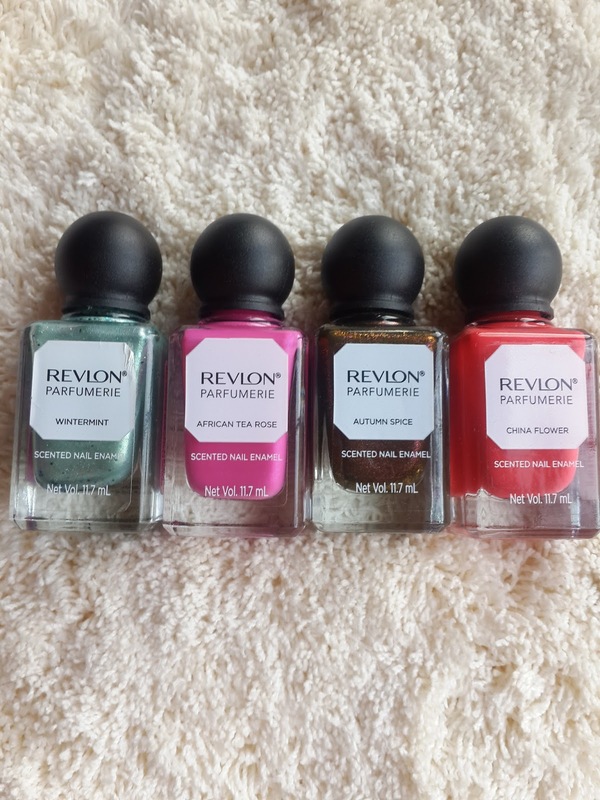 I picked up this nail paints for three reasons firstly I just got attracted to this bottles they were so different then usual nail paint bottles it was square shaped glass bottles having round cap which reminded me of vintage perfume bottles. Second the color shades were so vibrant that made me confused as in which colors to pick. Lastly they all had different scents in it. So when applied on nails it gives you fragrance isn't that cool! 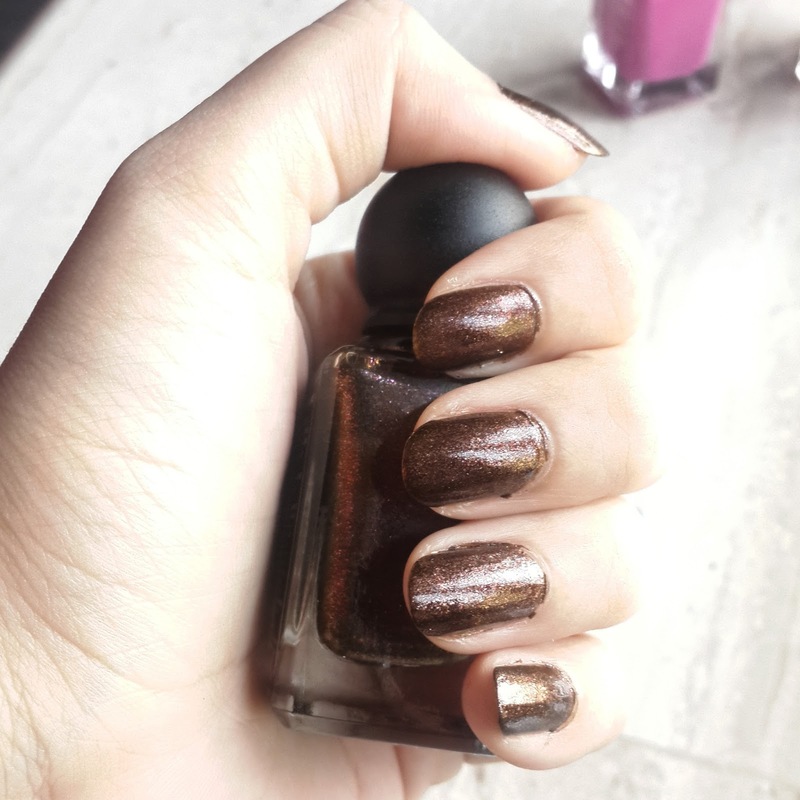 I ended up getting 4 shades autumn spice is bronze color having purple green glitters with cinnamon vanilla scent perfect for winter season I totally loved this shade it just gave me opacity in one single coat But here i have applied two coats. 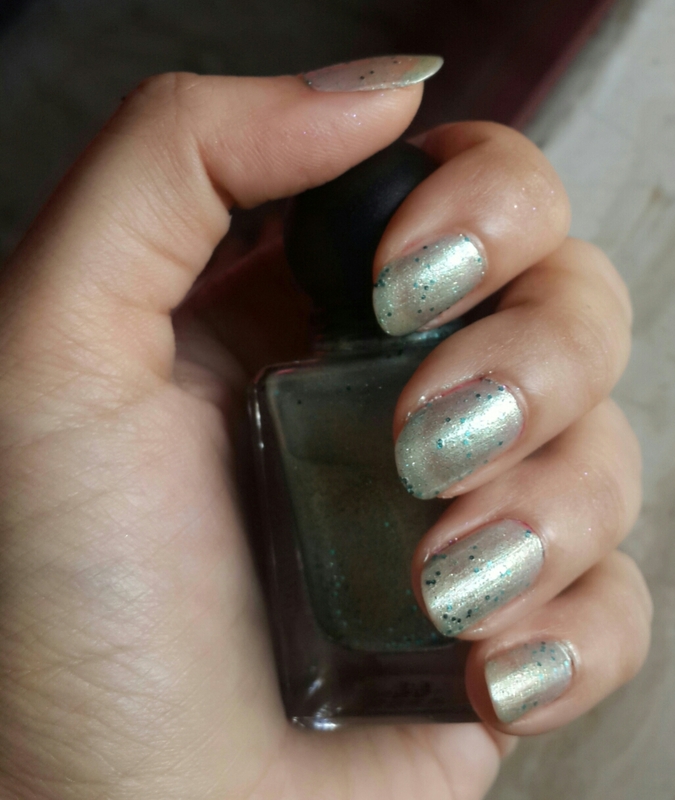 Wintermint is very sheer sea green color having blue sparkles and mint scent in it. African tea rose was perfect rose pink color having rose scent with little shimmer. China flower is like a warm red without shimmer having floral scent. Application is little uncomfortable as this bottles have round cap. Nail colors are opaque you just need two coats . 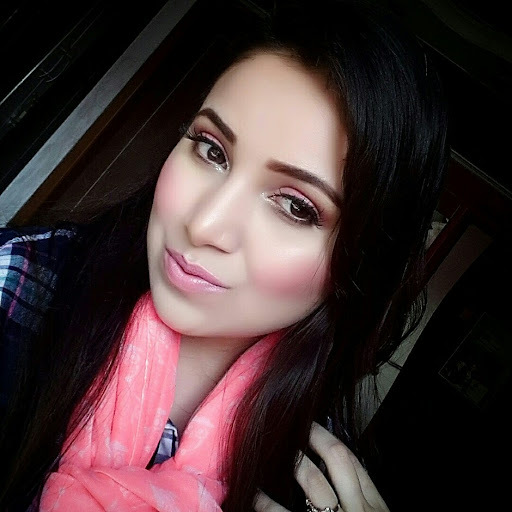 I am impressed with the formulas they are thin and glides on smoothly. Even with added perfume oils it dries of quickly. They are not so glossy but gives shiny finish. Fragrance is revealed when nail paint is dried and its not overwhelimg but light and lasts long. 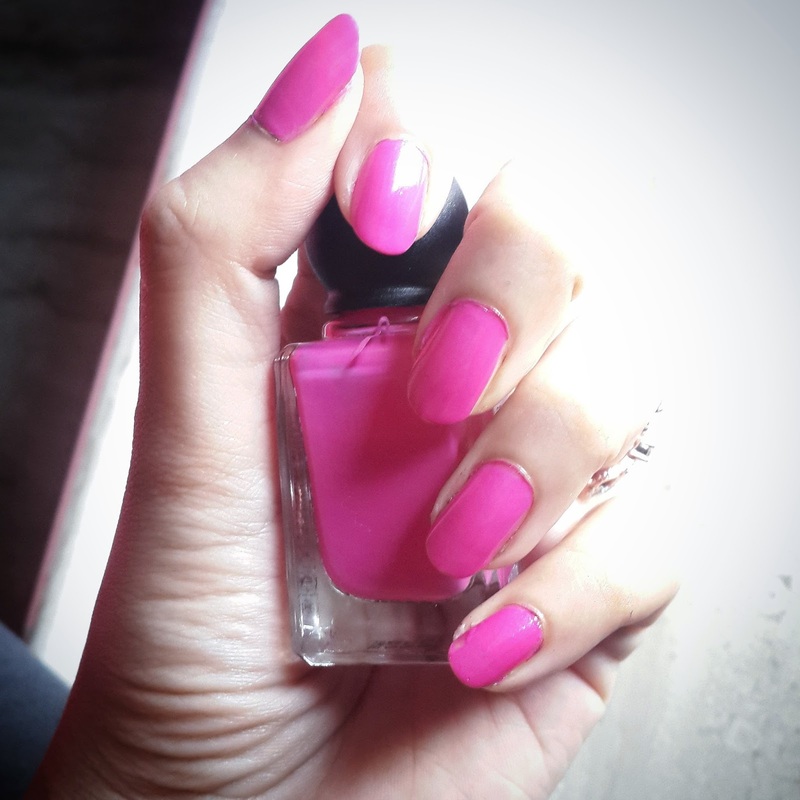 It lasted on my nails for 4 days without top coat and so its fragrance but with top coat you can get better results. Would definitely love to buy more shades in this range.